DO YOU EVER get to the point where you just want a few days away from all the things you’re busy doing or that still need to be done? We did, and we just happened to have our Disney World annual passes burning a hole in our pockets. We bought them last August while we were there, knowing we could use them again before the Disney cruise we’ve booked for this August. We decided to steal away for a “just us” four-day long weekend in Disney World at the end of April. April is the perfect time to go. The weather’s not too hot and—being between spring/Easter holidays and summer—the crowds are normally not too bad. 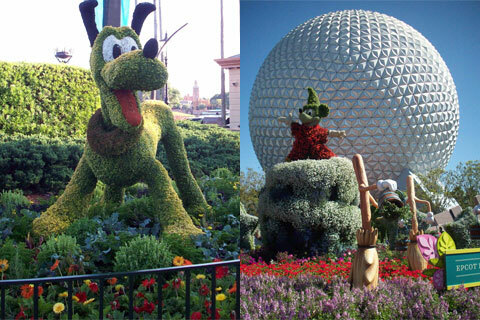 It’s also the time for the Epcot International Flower & Garden Festival. This year it was presented by HGTV, and was held from March 7 through May 20. I love going during the festival to enjoy all the flowers, topiaries and beautiful landscapes. We were able to get a great annual pass discount on our room at Pop Century, and we also purchased a discount dining card that’s available to pass holders. This gives a 20% discount on most sit-down restaurant meals in WDW, including alcohol: a savings that pays for itself after the first day or so. 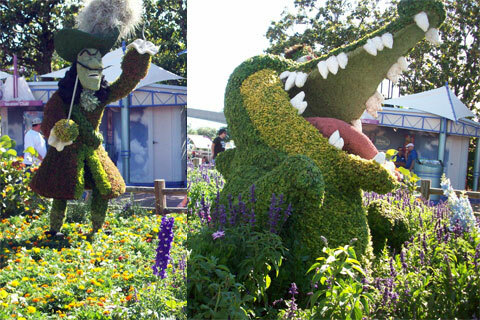 As we entered Epcot we were greeted by a group of topiary characters from the movie Fantasia, with sorcerer Mickey. There were beautiful flowers everywhere you looked, even floating in the lakes. The peacock. His tail feathers were made from an array of vivid flower beds. In the Future World side of Epcot we saw Peter Pan, his nemesis Capt. Hook and the croc. 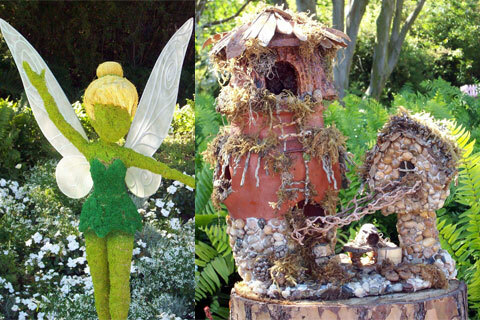 Along a side path was a fairy garden with all the fairies from Tinkerbelle, along with tiny fairy houses. Capt Hook ... and, of course, the croc: "Tick,Tock,Tick,Tock"! I enjoyed our stroll around the World Showcase, and seeing the topiaries in each “country.” A cast member told me there are more than 100 throughout Epcot, including more than 75 Disney character topiaries. We found the Toy Story gang with Woody, Buzz and Lotso Bear at the American Pavilion, Lightning McQueen and Mater from Cars 2 in Japan, along with some beautiful bonsai. We also saw playful Pandas in China, along with an amazing dragon. Cute pandas in China. Koi in Japan. 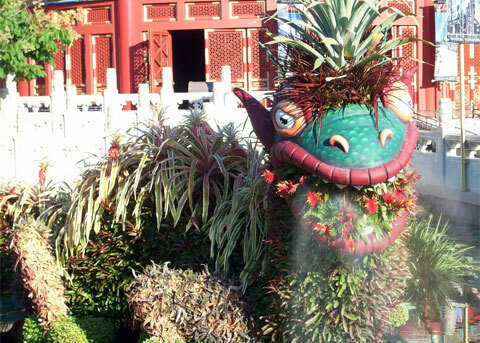 Love this dragon in China. Mist came out of its mouth every few minutes. Beauty and the Beast were found in France, of course, Lady and the Tramp in Italy and Snow White with her dwarfs in Germany. There’s a wonderful tea garden and Winnie the Pooh in the United Kingdom. With so much to see it’s a feast for the eyes. Tea in the United Kingdom. Earl Grey is my favorite! 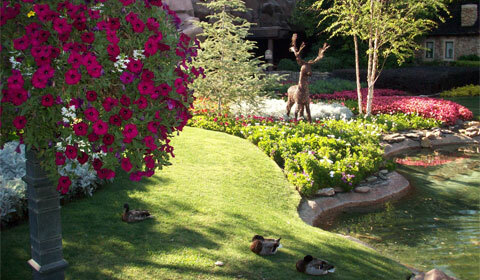 The Flower & Garden Festival was a wonderfully relaxing way to spend a weekend. The weather was warm with nice breezes and the crowds were small. I highly recommend Disneyworld at the end of April. What a nice story. The flowers look beautiful. I have been there for the flower gardens. It is a lovely time to go. Your story brought back wonderful memories. I really like to go there in the spring. The festival is great. I like the flower power concerts they offer then also. We saw the lead singer of three dog night, when we were there. Thanks for reading it Betty! I’m glad you enjoyed it. Oh, I LOVE it! 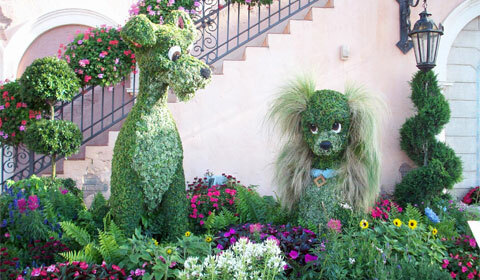 I got to Epcot just after the flower and garden show, so I missed the topiaries. They are SO talented, aren’t they? GREAT pics! 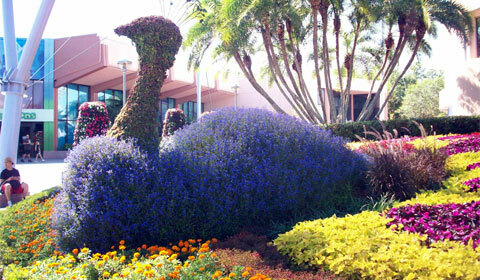 The topiaries are my favorite part of the festival. It most take them months to get them all so full and pretty. Its hard to take a bad picture with so many beautiful subjects. I haven’t been to Disneyland and I think I would want to go there someday wit my kids as soon as they get bit older and can walk already.. 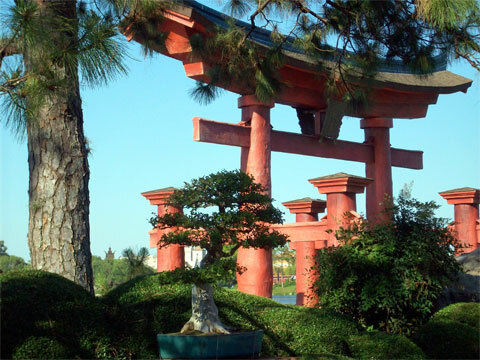 This is The Epcot park in Disney World, Fla. But Disneyland is nice too, just not as big. It has two parks, Disney World has four. When you do take your kids, I’m sure either park will make them very happy! Making people happy is what Disney does best! Lovely post Betsy, and gorgeous photos, thanks for sharing. Yep! Pooh bear is right at home there. 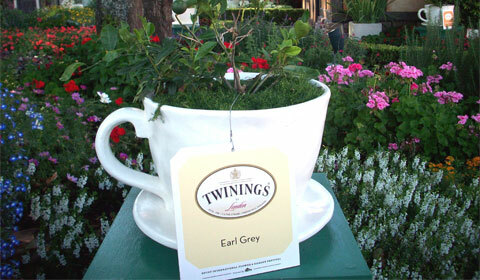 Twinning’s Earl Grey tea is my favorite tea, so I loved the giant cup of it in the tea garden. I need about that size to wake me up in the mornings. LOL. 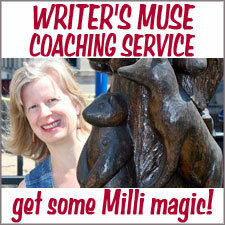 Thanks Jo, for reading and your nice comment. Betsy, Your story was great. It brought back very fond memories of the trip I took with you in 2004, also during the flower festival. 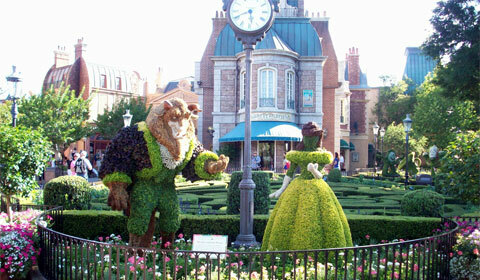 I have so many great pictures of the beautiful creations from topiaries, to cakes. Remember that was also the year they recreated their Disney stamp series in flowers. I can’t wait for my next trip. We had a fun time then and I do remember the stamps. They were great! Let me know when…I’ll pack my bags. LOL. Well if you like flowers, this is totally the place to be! Beautiful pictures! I have an especially soft spot in my heart for “Lady and the Tramp” because I knew one of the cartoonists. He helped draw the most famous scene of the whole movie — the spaghetti dinner. It looks like you had a lot of fun — I’d love to visit the “other” Disney Park in the U.S. again. I went there once for a trip with my class. That was a few years ago (cough). Hope to enjoy it again someday with my girls. How cool for you to have known someone who drew for that movie. There’s a different quality to the older hand drawn movies as apposed to the new digital. I love Lady and the Tramp! Its at the top of my top 10 Disney movie list. One hundred and one dalmatians is my favorite. My grandchildren love Disney World, I’m sure your daughters will too. After all its Disney! 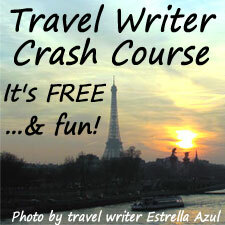 We just found your blog, are avid Disney enthusiasts, really enjoy your posts about WDW and DCL. 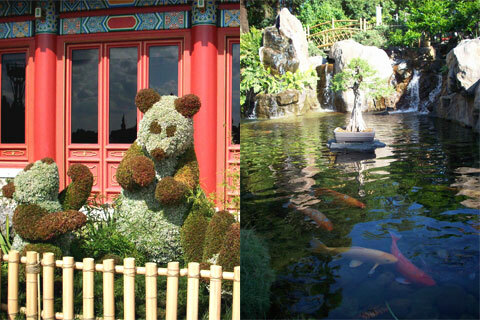 We also went to the Epcot flower and garden show last year and will be going back this spring following our 3rd DCL cruise. Thank you. So glad you enjoy my articles. Its a joy to share my Disney addiction with others. 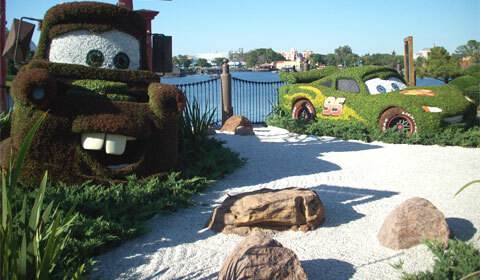 You cant beat spring time at WDW, and a Disney cruise is a great way to start. Enjoy!